Association football, the game is fondly known as soccer, football or the "beautiful game" by the sports lovers all around the globe. It is a contact sport and a team game that is played in between two teams of eleven players including a goalie on each side. Soccer is played with a spherical ball on a rectangular field with a goal at each end of the field. Football was invented in England in the mid 19thcentury where the first club, the Sheffield football club was formed in 1863. It is said that the game was also played in many countries by different names and formats. However, as per the records, Ancient Greeks and Romans played a no. of ball games which involved the use of feet. 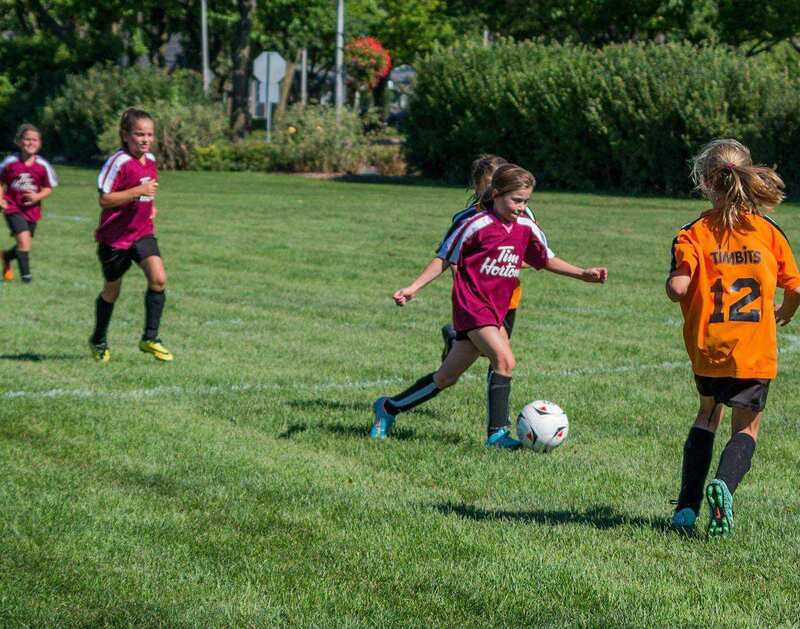 Today, soccer is the most popular game in the world and is played in more than 200 countries by 250 million players. The purpose of the game is to score more goals than the opponent team to win the game. Soccer is played by two teams each consisting of eleven players along with three substitutions that can be taken anytime during the match. As defined by the Law 1 of the Laws of the game, “The Field of Play” the football pitch should be made of turf or artificial turf. The field length must be between 100 to 130 yds and must be marked by a halfway line that divides the area into two equal halves. 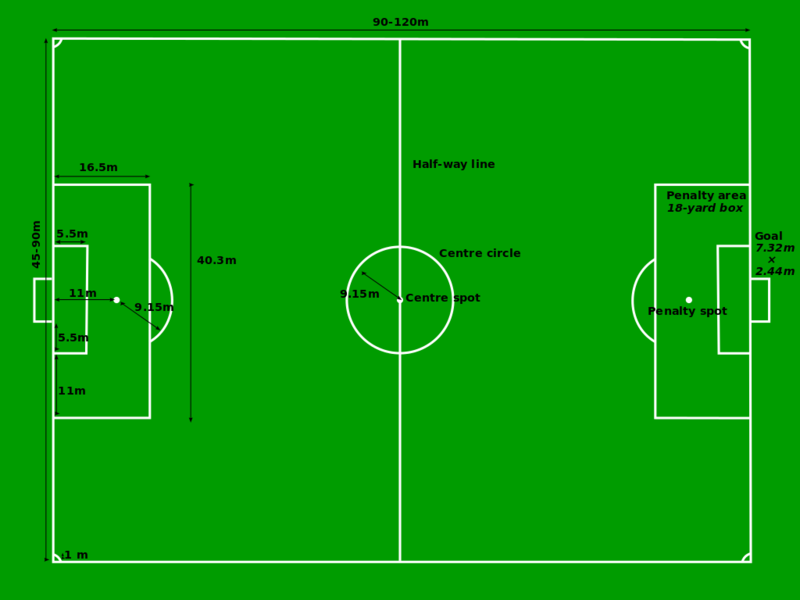 The goals must be eight yards wide while the penalty area must be 44 yds wide, whereas the corner arcs must be at the four corners of the field. Diego Armando Maradona is an Argentine retired professional footballer. He is now serving as a manager and coach at other clubs as well as the national team of Argentina. 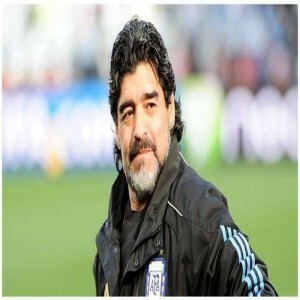 Maradona is regarded as the greatest football player of all time by many football writers, players, and fans. He was joint FIFA Player of the 20th Century with Pelé. The greatest football player of all time, Edson Arantes do Nascimento lovingly known as Pelé is a retired Brazillian footballer. With his amazing football drills one of which is the famous bicycle kick, the man has earned numerous titles, awards, and nicknames by the football federations and fanatics. 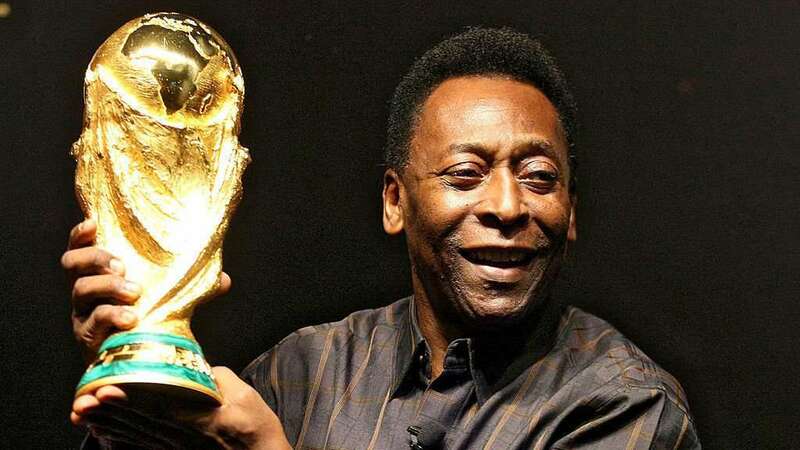 Pelé has also been declared as a national treasure by the President of Brazil, Jânio Quadros. Cristiano Ronaldo dos Santos Aveiro is the captain of Portugal national soccer team and also plays for the Spanish club Real Madrid as a forward and sometimes as a winger too. Ronaldo won his first Ballon d'Or and FIFA World Player of the Year awards in 2008 and the FIFA Ballon d'Or in 2013 and 2014. He is often regarded as one of the greatest players in the history of the sport and has also been named as the best Portuguese player of all time by the Portuguese Football Federation. The only player in the history of association football to win five FIFA Ballon d'Or awards, Lionel Andrés "Leo" Messi is a professional footballer from Argentina who plays as a forward for the Argentina national team and Spanish club FC Barcelona. 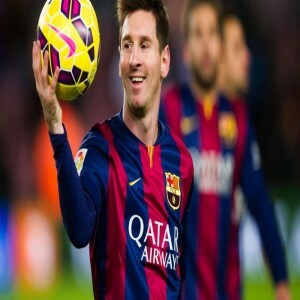 He is often considered as the best player in the world by many as the greatest of all time. Out of the five Ballon d'Or awards he won, four of them were won consecutively, and Messi is also the first athlete to win three European Golden Shoes. 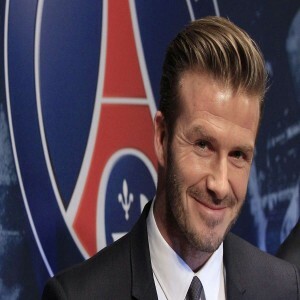 David Robert Joseph Beckham is a former professional footballer from England. He played for the England national team, Manchester United, Preston North End, Real Madrid, Milan, Paris Saint-Germain and LA Galaxy for which he held the appearance record for an outfield player until 2016 after which it was surpassed by Wayne Rooney. Beckham is the first English player to win league titles in four countries i.e. England, Spain, the United States and France. He announced his retirement in May 2013 after a 20-year career, during which he won 19 major trophies. One of the greatest players in the history of German football, Oliver Rolf Kahn is a German professional football goalkeeper. 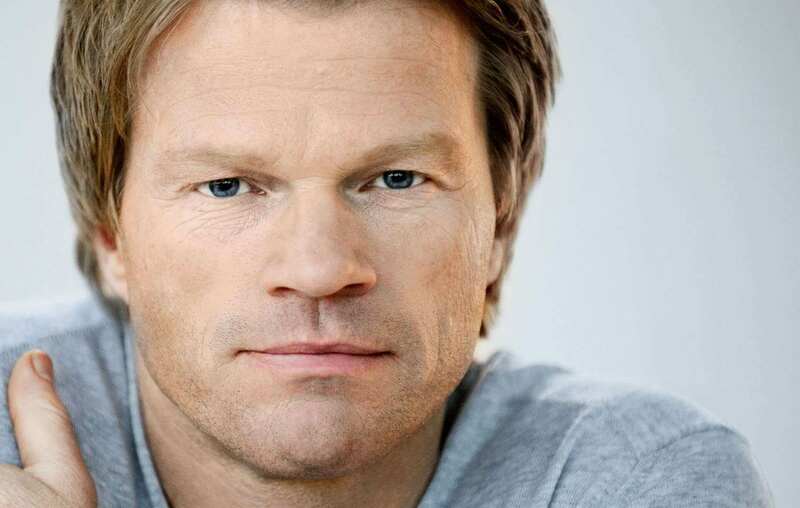 He has won eight Bundesliga titles, six DFB-Pokals, the UEFA Cup in 1996, the UEFA Champions League and the Intercontinental Cup, both in 2001. His aggressive playing style and commendable goal presence has made him earn the nicknames such as Der Titan (The Titan) by the press Vol-kahn-o ("Volcano") from his fans.